Purchase a copy directly from me of From Pigtails to Chin Hairs: A Memoir & More. For a limited time, I'm selling my book for only $10.00 which includes any taxes AND shipping! I apologize but I can only take checks for now. What a wonderful gift this would be for friends, relatives, or even yourself! 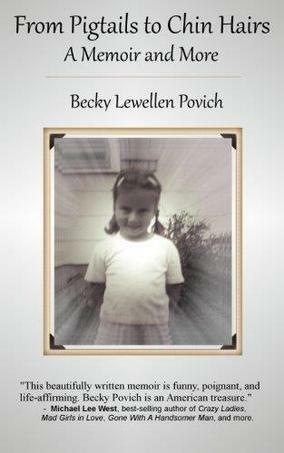 ​ *Pay by check by mailing your $10.00 Payable to "Becky Povich"
to: PO Box 1537, Saint Peters, Missouri 63376.